Replacement receiver for Evoluent VerticalMouse 4 Right or Small Wireless. 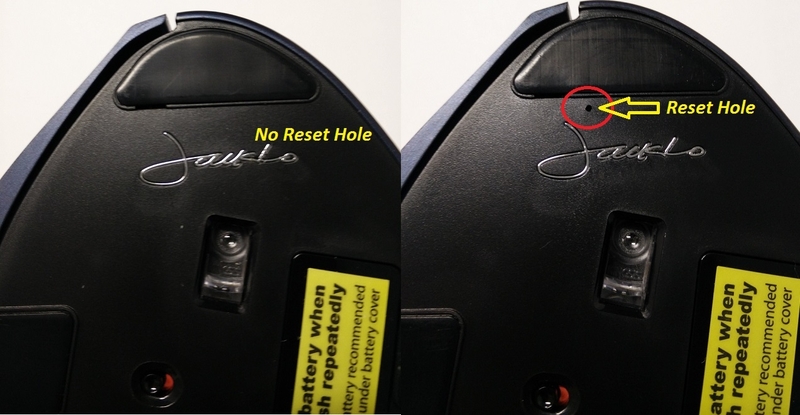 This is ONLY for replacing the receiver for the earlier version of VerticalMouse 4 with a tiny reset hole above the signature. Later VerticalMouse 4 without the reset hole cannot use this receiver. The pairing program listed on the Support page on evoluent.com must be run in Windows to pair the replacement receiver with your VM4RW. The pairing program cannot be run on a Mac. This is NOT a Bluetooth receiver. It is not compatible with VM4RM (Mac) or VM4RB (Bluetooth).